DURANT – The ever-expanding array of sports to play in Durant is growing again this summer. In recent years, Bryan County has been introduced to the sport of lacrosse and seen it gain traction. Just a year ago, a disc golf course was built in Durant, attracting new visitors to Carl Albert Park. And the newest member to this group: field hockey. Mike Delloro, program director for Texoma Athletics, is responsible for bringing lacrosse to the area and has a vision of field hockey taking off in Durant, as well. It is a sport that plays its schedule in the fall, which would complement the calendar for girls who are playing lacrosse right now in the spring. Delloro has been overseeing lacrosse in the Texoma area for four years, and with the club heading into its fifth season, he said he feels like the time is right for field hockey to be brought in. 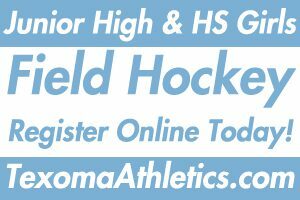 Field hockey will be offered for youth in Durant and Sherman and around those areas. There will be field practices on both sides of the Red River – at Billy Miller Park in Durant and at Fairview Park in Sherman. When the term ‘hockey’ is heard around Texoma, it is likely associated with ice hockey as field hockey to this point hasn’t been played much in the area. Delloro said there similarities and differences between the two sports. And for those who have been a part of the growing lacrosse movement, learning to play field hockey isn’t too far away from what they have been learning. “Obviously both sports involve a stick and a lot of the tactics are similar. But field hockey is played primarily on the ground and lacrosse is mainly in the air. So being able to combine both sports, I’ve generally found that lacrosse players make good field hockey players and field hockey players make good lacrosse players. The goal is to be able to offer field hockey from fifth grade through high school and to be able to play games through the fall, which is the typical field hockey season. Delloro said the plan is to offer this sport at minimal cost, right now meaning an investment of $75. 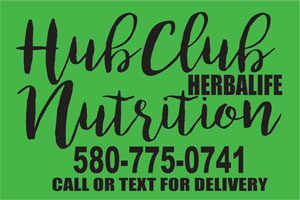 Flexibility in the practice schedule is something the group is working to make happen, with two practices a week – one in Durant and one in Sherman. Delloro’s wife, Amanda (DHS Class of 2007), is also a part of the program and both are certified coaches with the USA Field Hockey. “She comes from a basketball background and lacrosse and field hockey have a lot of basketball elements and it’s good just to have her perspective, as she played basketball in high school,” Mike Delloro said. The team will be competing at a junior varsity level for the 2018 campaign. “One of the things we want to do is that we know that there may be families that cannot afford the $75 for the season and we want to be able to offer, if someone is really interested, and to provide scholarships and be able to work with them. We want to find businesses that can help us get going and to have fundraisers to be able to have those girls participating.